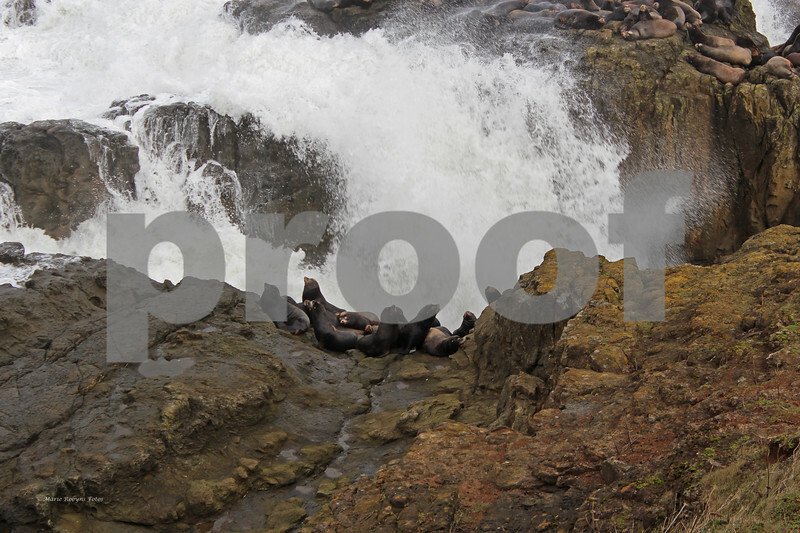 Stellar sealions relaxing on the rocky shores of Cape Arago State Park while waves crash around them. Cape Arago is located south of Coos Bay and Charleston on the Arago Highway on the Southern Oregon Coast. Photographed November 21, 2012 at 9:16 am.